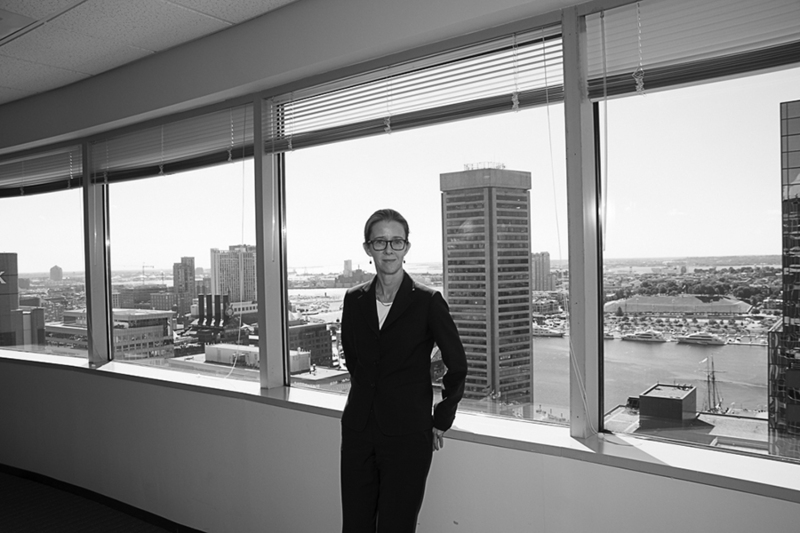 Serendipity smiled upon Astrachan Gunst Thomas when, after our long time principal Julie Rubin became Judge Julie Rubin of the Baltimore City Circuit Court, along came Elizabeth Harlan to join our litigation group. Both Julie and Elizabeth, you see, are graduates of Mount Holyoke College, and only one year apart (but Jim can never recall who was the first to graduate). They even took classes together there. After her time at Mount Holyoke, Elizabeth moved to California and three years later graduated from UC Hastings College of the Law and became a member of the California bar. She returned to the east coast and after a year in Washington, DC clerking for a judge of the Superior Court for the District of Columbia, Elizabeth returned to California and clerked for a judge of the San Francisco Superior Court. Exercising the sound judgment for which she has become famous, she stayed in San Francisco and joined the ranks of Skadden Arps where for nine years she defended only those wrongly accused of securities fraud and RICO violations. When the beauty of northern California, the culture and food of San Francisco, the proximity to Wine Country, and the California lifestyle became too much to bear, Elizabeth, along with her husband, son and daughter, moved to Maryland. Her family's flower farm north of Baltimore may have been part of the draw, where she and her husband built a modern house on land to rival any found in Marin County, where they raise two children, three chickens (one named Omelet) and one dog. Click here to download and view Elizabeth's Resume.